Notice: We are continually getting new stock for upstairs in the antiques and collectibles section. We also have hunting and fishing licenses available. Please let us know if there is anything specific you would like us to start stocking. 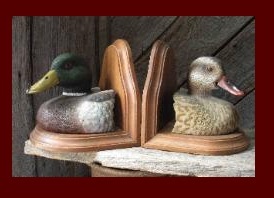 We have a wide variety of antiques and collectibles from furniture to dinner sets. The beautiful thing about antiques is the memories they bring when you see them again such as Grandma baking in the Pyrex casserole dish in that corner or the stories your family shared while eating on "The Old Curiousity Shop" dishes or your fingers remembering the feel of the old oak cabinet that is so much like the one your Great-grandpa made so long ago. You are not only finding a beautiful item when you visit us, you are finding a beautiful memory.. a piece of history and a piece of all the people who loved that piece before you. If you are looking for something in particular that we don't seem to have, let us know and we will keep our eyes open for it. We may be able to find it for you. We strive to have all your simple grocery needs at reasonable prices. We have everything from emergency munchies to "real food" for old fashioned homecooking. We have 69 cent soda cans, ice cream and toppings, chips and dips, some of the cheapest milk around, bags of potatos, and cans of soup and veggies just to list a little. If you have a specific request, let us know and we will do our absolute best to carry it for you. used, but well maintained coolers, tents, camping stoves, Coleman lights, and many other camping supplies. We always throughly check-over everything we put on our shelves and by selling previously used items we can bring you high quality merchandise for much more reasonable prices than you could get elsewhere. In addition to everything else, we also have what I like to refer to as "what-nots" and what Rose Marie refers to as "things people need." On occasion, we run across gently used, but functional practical items that people just need like microwaves or cooking skillets or fans. Rose Marie knows what its like to have to pinch pennies and if she can bring you every-day items at cheap prices, she is more than happy to do so. 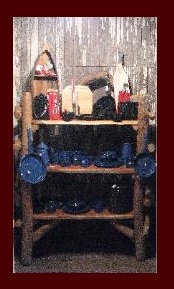 We have everything from calf bottles to blankets to simple kitchen appliances. While we might not have what you are looking for, we also just might so don't hesitate to ask. This is another section of the store that is constantly changing.